Growing up in Hawaii, I was raised on “shave ice” since small kid time. 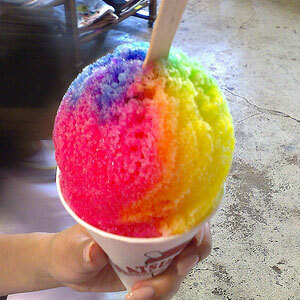 And do me a favor, don’t call it “shaved ice” to a local kama’aina–you’ll show your malihini (newbie) colors. I am, of course, partial to Hawaiian style shave ice, but I’m aware that there are other kinds these days. Long gone are the days when the only good shave ice was on the Islands and everyone else had to settle for sno-cones. A style that is very popular now is a “snow ice” type of hybrid between ice and ice cream, originally from Taiwan. 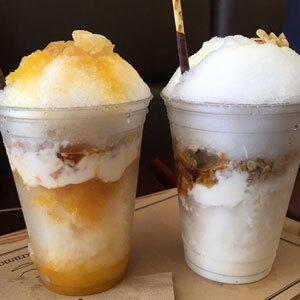 Whereas shave ice is ice that’s drizzled with fruit flavored syrups, snow ice has been infused with milky flavor prior to freezing. It is then shaved off into sheets of ice–the effect is a creamy, ice dessert that melts in your mouth. Truly the only kind of shaved ice that competes with shave ice in my humble opinion. I tend to like my snow ice simple, with a minimum of toppings–maybe the little mochi bits or raspberries or kiwi. But if you like yours with more imagination, you can get a mountain of ingredients that will make yours look like a gaudy psychedelic iceberg. 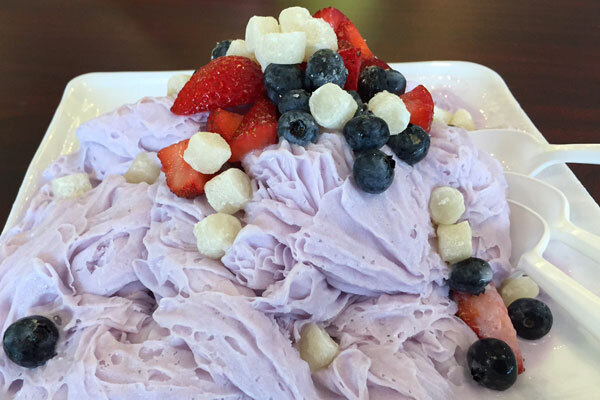 Above pic is taro flavored snow ice with strawberries, blueberries and mochi bits. 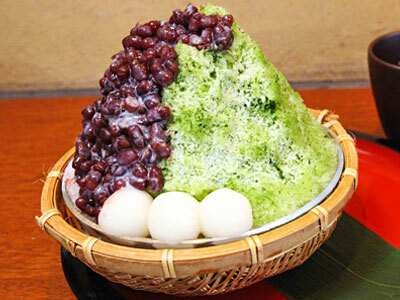 In Japan, their traditional version of this dessert is known as kakigori, which literally means shaved ice. Theirs is a coarser, more crystalline consistency topped with syrup, often strawberry or green tea flavored. Sweet condensed milk is also added sometimes, and one of my favorites is super charged with matcha ice cream, azuki (red beans) and mochi–the classic Ujikintoki. Hawaiian shave ice fans might find the ice texture too coarse for their taste, but I think it has a character all its own. If you’re in Japan, you can find the coffee shops that serve kakigori by looking out for the universal sign for “ice”, a banner that they display outside their storefronts. I recently had a Korean version that was an ice parfait in a cup–mango juice, pineapple, vanilla yogurt, coconut flakes, granola and honey. That’s the one on the left; the other one has condensed milk, yogurt, coconut flakes, granola and honey. These were both surprisingly good. They’re obviously going for the texture with all those crunchy ingredients, and hoping to blend it with the cold, sweet ice. It works! Nothing though, beats my childhood Hawaiian shave ice. Let’s face it, for the shave ice purist, there’s nothing like the Rainbow one with the classic flat wooden spoon sticking out of it. Whenever I get a chance to go back, I make sure to make a stop at the world famous Matsumoto Shave Ice. They’ve been there for as long as I can remember, and on any given day you’ll see a busload of tourists stopped outside the store. If you go to visit on your way to the North Shore, be sure to follow the instructions on how to order your shave ice; it’ll make the line go faster! 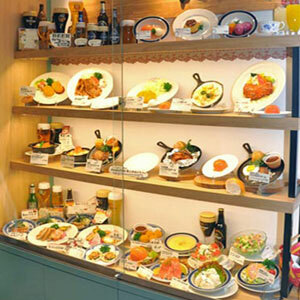 Food replicas are a part of the dining out experience in Japan. Almost any restaurant will have a glass showcase out in front, with several of their most popular dishes on the menu lined up on display. With the price of the dish clearly marked on tent cards, the food models are an easy 3-D menu that allows diners to make up their minds before they even step inside. 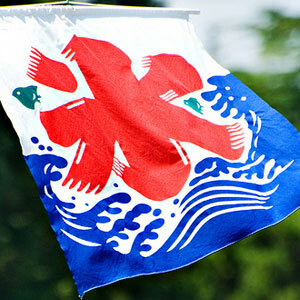 I love these things–invented in Japan and unique to their culture. When they’re well-made, it’s very difficult to tell them apart from the real food. In fact, I can tell you from personal experience of the time I got queasy from staring at a tempting plate of lasagna at an Italian restaurant in Tokyo. Let me explain. We had gone out to see a movie and decided to have dinner afterward. Big mistake. The movie was Alien–remember the “chest bursting” scene? It was a pretty intense film with highly stylized and realistic action parts where the alien creature causes a lot of mayhem and human destruction, if you know what I mean. The restaurant was a popular high end place near the theater; and the food on display looked really good until we kept staring at all that tomato sauce and melted cheese and ground beef and…well, we lost our appetite for Italian food and ended up having sandwiches at a coffee shop. LOL! True story! 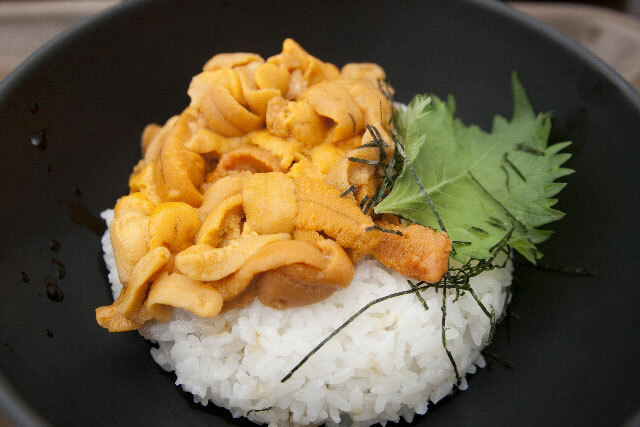 Food replicas have been around in Japan for over 90 years, when a department store restaurant first started making the fake food to lure customers inside. When Americans and Europeans traveled to Japan to help with rebuilding efforts after WWII, no one could read Japanese menus, so the replicas clearly helped the foreigners decide what they might want to eat. At first the models were made of paraffin wax, but the colors would fade over time, so plastic vinyl chloride is used today–a material that is virtually permanent. The material may be high tech, but the process is still handmade. Molds of real food are used, and when that’s not possible the molds are hand sculpted. 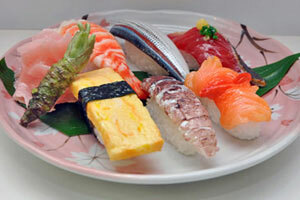 Painting and airbrushing is what lends the food its realism and detail, as well as the multiple parts that need to be assembled together to make a single sushi roll. Sometimes actual food prep techniques are mimicked to get the realism required, like chopping plastic vegetables with a chefs knife, or deep frying plastic shrimp in hot oil. One of these is REAL! Which one?? Today there are a few large food replica companies in Japan, but for the most part many of them are mom and pop artisans who have raised the level of craftsmanship to an art form. Techniques and trade secrets are closely guarded in an industry that generates billions of yen per year. 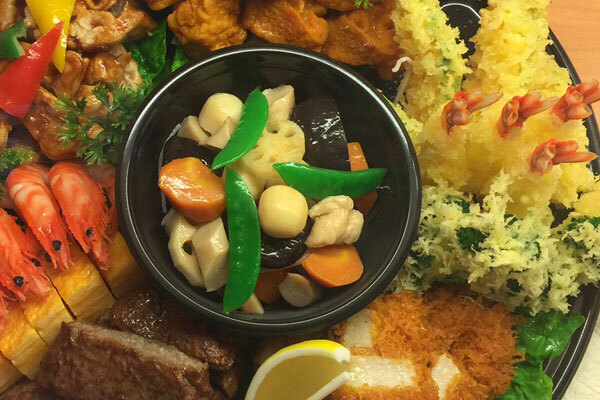 If a single restaurant ordered replicas to be made for most of its menu, it may cost hundreds of thousands of dollars–the replica is always custom made to be exactly like the restaurant’s dish. Replicas courtesy of Bentoss, Trends in Japan (web-Japan.org), Japan Online. Photos by Bert Tanimoto and Shelley Opunui. 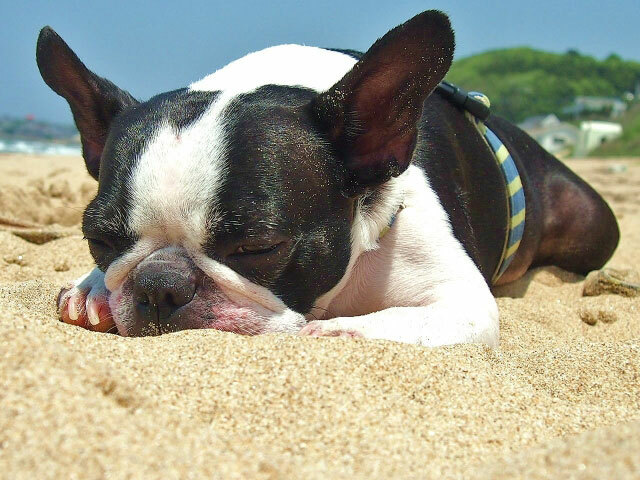 Warm days that seem to never end. Enjoying outdoor activities with your family and friends. The best fresh produce your local growers provide… these are just a few of the reasons we love this time of year! With so many things going on, you probably wonder how many meals you have time to make at home each week. We believe that it’s both lack of time and inconvenience that keep us from the simple homemade fare we crave. We’re here to help! Our rice cookers, stainless food jars, bread makers, and various other gourmet products lend themselves to quick and easy meals at home. Our appliances are designed to help you create a delicious meal easily and save you time when cleaning up. So spend less time in the kitchen and more time enjoying your summer! It’s shiso season and we couldn’t be happier. Shiso is just one of those unique ingredients. 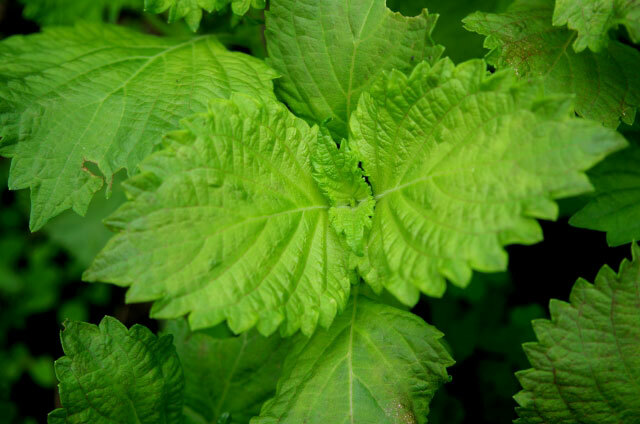 For those who aren’t familiar with it, shiso is an herb with a texture similar to mint. It has bright, slightly bitter, earthy flavor that brightens up your favorite summer dishes. If you aren’t familiar with it, it’s used in a way similar to parsley or cilantro. Of the five tastes, shiso definitely falls under bitter. So if you’re looking to ‘grow up’ or try something new on the plate, why not play with shiso–after all, what’s the worst thing that could happen? The cool thing about shiso is that you can use it in endless ways. Throw it in a fresh veggie salad, serve it with fresh fruit, float it in soup, or garnish a cocktail. It’s so versatile! It’s not expensive, and even a small amount will leave you with plenty to play with. We suggest chopping it fine to sprinkle over vegetables or using it as a garnish for meat dishes. You can even puree shiso into a pesto, or wrap it around fish. Go ahead and be adventurous, and have fun with this versatile herb. If nothing else, it will make an interesting conversation starter. We are pretty confident that you will enjoy its unique flavor profile! In Japanese, santoku literally means the “three virtues.” In this case we mean chopping, cutting and dicing, of course! The santoku knife is world famous for its fabulous capabilities in the kitchen. This rather large knife might be compared to a ‘chef’s knife’ in the states. They range from a 5” to 7” blade size with a sharp point. These indispensable tools are designed for a firm grip while allowing for full blade use. They are known for their sharp edges and their “dimpled” blade, which helps to release food slices stuck on the blade. This knife is a perfect multi-functional tool. 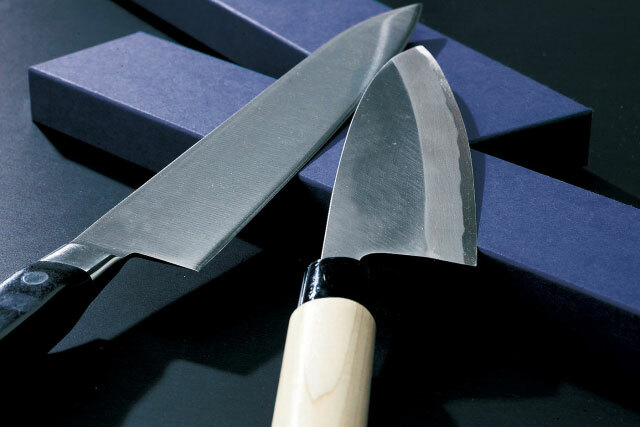 You can find santoku knives across a wide range of prices and materials. 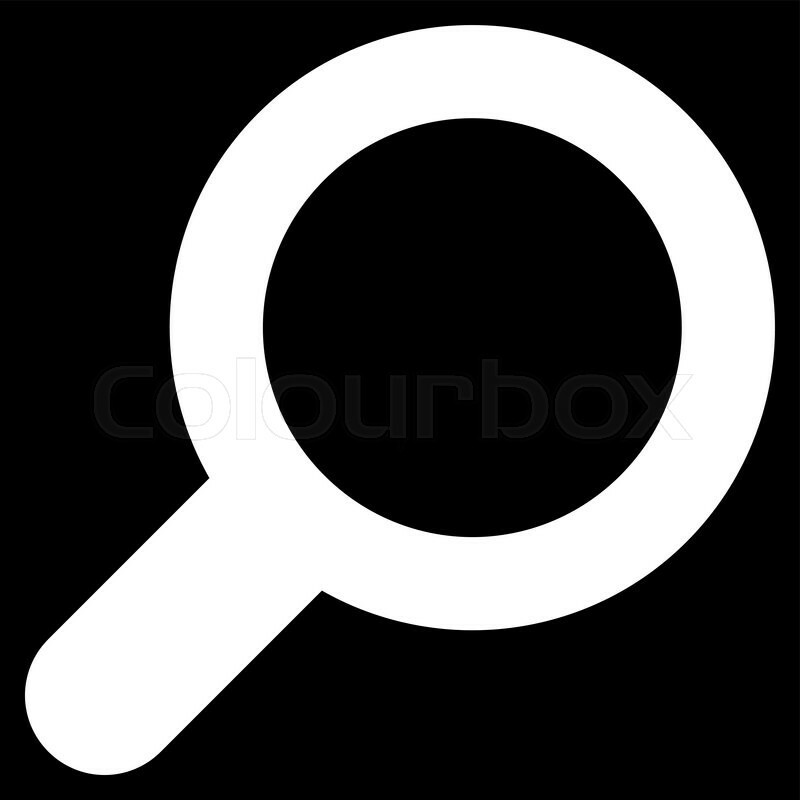 You can even find ceramic varieties in stores and online these days. If you take good care of yours, store it correctly and have it professionally sharpened, it should last, well, forever. Keep in mind that a sharp knife is a safe knife, and as they dull they become more dangerous, since you have to use more pressure. If you are looking to add to your collection, or looking for the perfect all-around chef’s knife, a santoku is a must-have item. You will be amazed by their function and versatility. Please be kind to all of your knives, treat them with respect and above all else, keep them out of the dishwasher! Waking up in the morning can be a bummer! Kids, summer day camps, breakfast, work- it can sometimes feel like an endless list of tasks. Some days, don’t you just want to stay in bed with a newspaper and a cup of coffee? Maybe some homemade coffee cake? Now, this is not your regular drip and go machine. 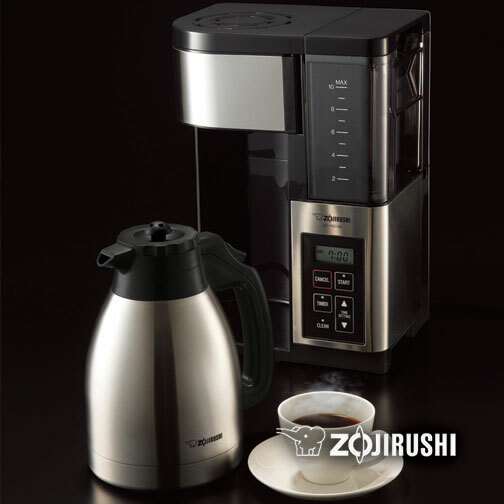 The carafe is constructed with Zojirushi’s advanced vacuum insulation technology that helps keep coffee as fresh and great tasting as when it was first brewed. By utilizing a thermal carafe instead of a burner, coffee can remain hot for hours without burning. The Fresh Brew Plus brews coffee at 200 degrees Fahrenheit, which is the optimal temperature for the best tasting coffee. It also features a 24-hour programmable timer so you can have a delicious cup of coffee ready in the morning. The Fresh Brew Plus Thermal Carafe Coffee Maker is also remarkably easy to clean! The removable water tank is fully washable and the swing and filter baskets lift out easily for thorough cleaning. In addition, this unit has a “clean light” indicator that illuminates when cleaning is recommended. So, rise and shine- your coffee is ready! Is it us or does wedding season feel longer and longer each year? March through October seems to be filled with weddings, both in our lives, and on social media. During the spring and summer months we are inundated with images of string lights, mason jars and rustic floral arrangements. Beautiful brides glide through outdoor venues decorated with dessert tables and photo booths. What has social media done to the modern American wedding? A similar shift is happening across the Pacific Ocean. The traditional Japanese style wedding is becoming less and less of the norm, and couples are opting for ‘western’-style affairs complete with white gowns, tiered cakes and the toss of a bouquet! Some couples even have ceremonies where both wedding traditions are combined. In this situation the bride and groom will perform one part of their wedding in a western style dress and tuxedo. Then, they will have a change of wardrobe and wear traditional Japanese wedding kimonos for the reception. That would make for one elaborate wedding! But what is a traditional Japanese-style wedding, you ask? Well, that’s a longer story…Japanese weddings are typically all-day affairs beginning early in the morning and stretching out through the night. Both bride and groom don classic wedding kimonos as they make their way to a shrine. The bride’s kimono will be white with a large white headdress called tsunokakushi. The headdress is meant to be a symbol of both submission and protection from jealousy. Sound familiar? Tsunokakushi is not unlike a western-style wedding veil! Japanese wedding ceremonies are performed by a Shinto priest in a shrine. Instead of opting for the long walk down the aisle in front of a large crowd, these ceremonies are often intimate with only the couple’s parents in attendance. Drinking sake is an important part of the ritual and symbolizes getting through the many challenges that will arise within the marriage. Then at last, the reception will commence. Japanese style wedding receptions are held in tatami rooms where husband and wife sit on a stage to see their guests. At this point, the bride might change into a more colorful kimono, or in more recent years, a western-style gown. 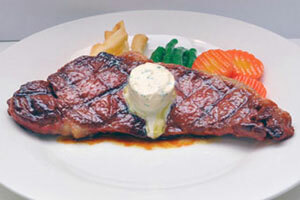 Food and drink will be served, and people will eat and drink to their hearts’ content. People dance and sing, and give speeches to the new couple. Money is the gift to give at a Japanese wedding. The standard amount is about $300.00, wrapped nicely in an envelope. As we look at both eastern and western-style wedding traditions, we can’t help but see many similarities. Both versions begin with a ceremony and end in a reception, both require lots of food and drink, and there is some sort of gift giving in each situation. Couples celebrate with close family, friends and colleagues, and it is not uncommon for the couple to take a honeymoon when it’s all said and done. So perhaps we aren’t that different after all. Have you ever been to a Japanese-style wedding? If so, we would love to hear your reactions and thoughts on the matter! Happy wedding season!